Antique cut diamonds have proportions specifically designed in a way that the light will fall directly down on to the stone through the crown of the diamond. The light then entering the top of the diamond would hit the bottom facet giving the stone a life full look. old cut diamonds look their best by soft lights. This cut gave way to more modern faceting. While cutting a higher crown makes for a beautifully shaped diamond it takes away too much carat weight. Which these days tends to outweigh other aspects which were more prized in the past. Old mine cut diamonds date back to the 1830’s and were common up until the turn of the century. 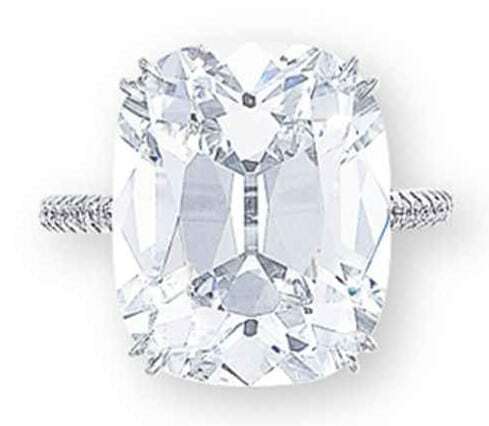 The cushion cut diamond was one of the most popular cuts of diamonds ever. 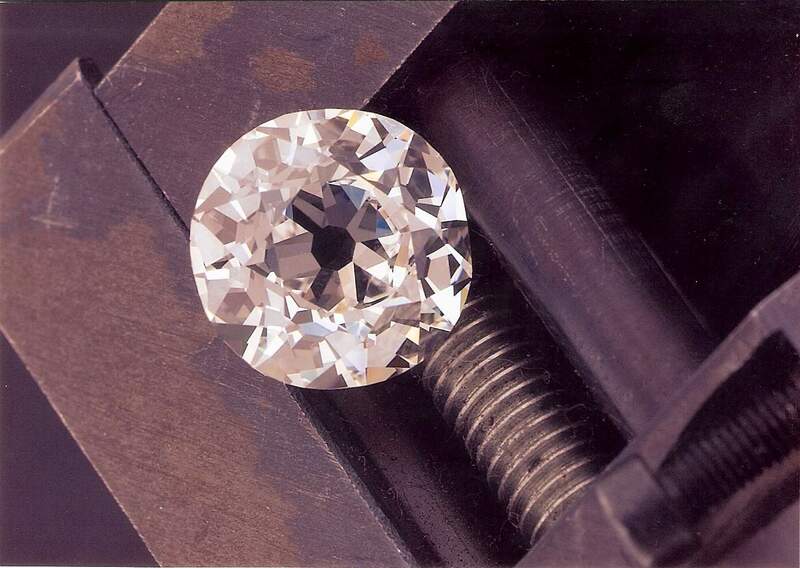 For more than 70 years from 1830 to the turn of the century this was how diamonds were cut. 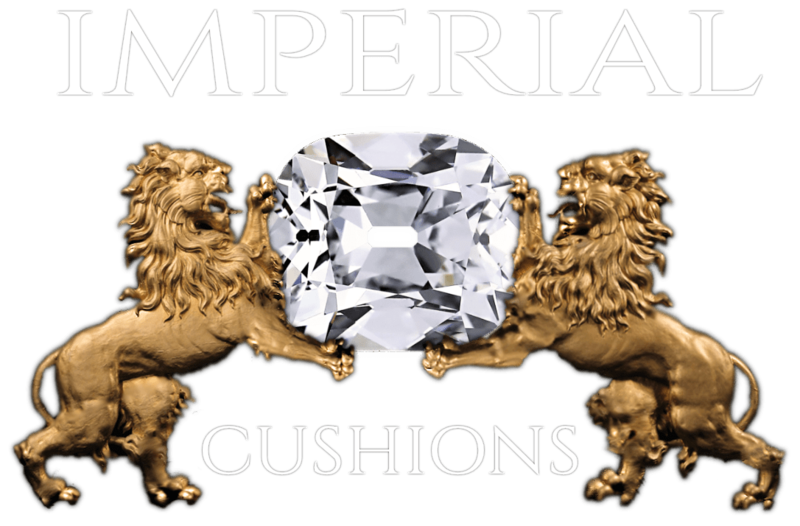 Sometimes referred to as a “pillow cut”, the cushion cut has an open culet (the bottom of the diamond) and a rectangular to square shape with rounded corners. The beauty of a cushion cut is the depth of the diamond. The facets allow the eye to travel into the diamond. It is a calmer more soothing cut than a modern cut. The old European diamond has a very small table, a heavy crown, and great overall depth. This diamond cut was the forerunner of the modern brilliant cut. 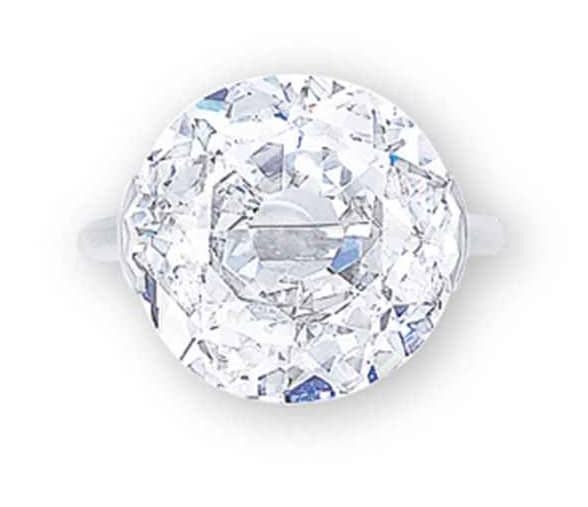 Like the modern round brilliant, the old European diamond has a circular girdle. European diamonds have an unforgettable sparkle.